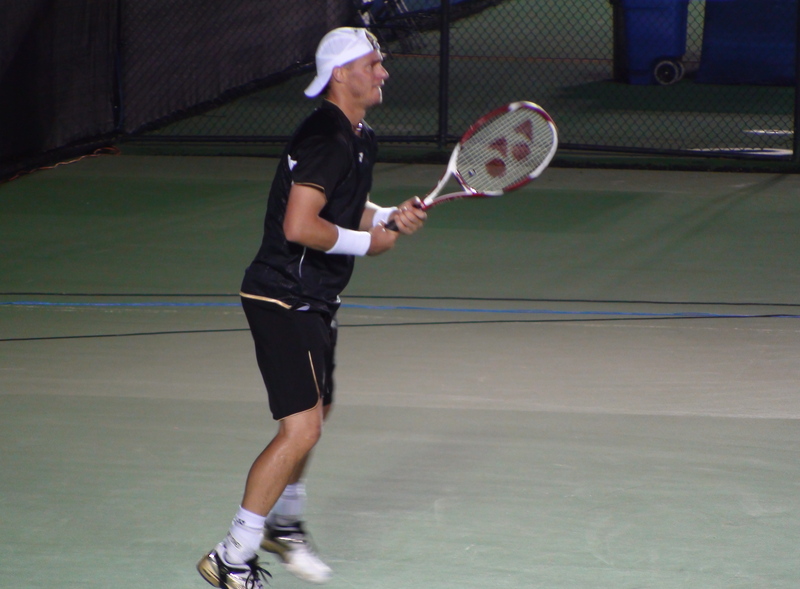 ← Isner Loses His Grip on Fish in Atlanta Tennis Championships Finals. Final Thoughts from Atlanta – Quiet Confidence. Loud Results. I promised some final thoughts from my week spent down at the Atlanta Tennis Championships and here they are in no certain order. It was quite a treat being able to watch Lleyton Hewitt up close on the smaller Court One as he took on America’s Rajeev Ram. One almost has to sit right next to Hewitt to appreciate the intensity written on his face and the intensity he gives with every single shot he hits. Unfortunately, one is also prone to hearing Hewitt berate himself when a shot goes long as well a slew of muttered profanity well within earshot of the young ball kids sitting in the first row waiting to go on court. Hewitt, who lost to Ram in three sets, was unhappy most of the night about the way the ball bounced on the court, to the chair umpire and probably because he was pushed off to an outside court from the stadium court due to a long rain delay. But his biggest gripe was with himself as he muttered “why bother if you aren’t 100%” “I can’t feel my foot” suggesting that more injury woes may be on the way for him. My suggestion to U.S. tennis fans – try and check out Hewitt sometime this summer before he heads to New York as it well may be the last time he appears during the summer hardcourt season. 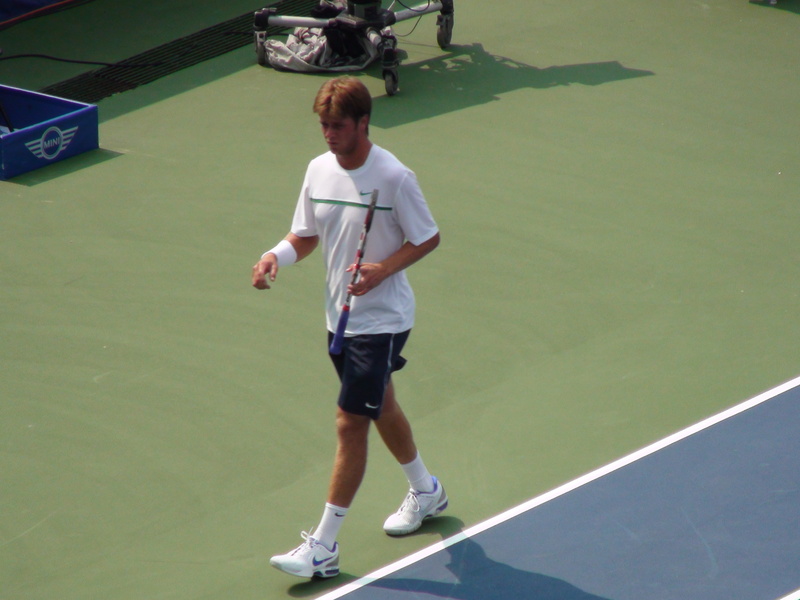 Young American Ryan Harrison had a breakthrough tournament reaching the semifinals thus giving him a top 100 ranking for the first time. But despite all the hopes for young Ryan, a certain amount of hand wringing goes on among fans about Ryan’s penchant for getting too upset when things don’t go his way in a match. I’ll admit I sometimes roll my eyes when he starts to go off on an umpire but it not like he’s the first player to do so and won’t be the last. Some say his on-court behavior is bad manners while other chalk it up to Harrison’s passion and desire to win, something that’s been lacking in several other American players that I won’t name. The biggest question for Ryan won’t be how he learns to handle his emotions better on court but how he’ll deal with the already growing expectation that he will not only be the next U.S. No. 1 player, but No. 1 period. On his Twitter account, Ryan posted a link to an Atlanta Journal article on him embracing his role as America’s next star. Hopefully Ryan won’t pay attention too much to what is said about him and just keeps his head down and remains focused on his game and not listen or worry about the speculation and hype about him, especially from tennis media in this country desperate for a new star to follow. Mardy Fish. Quiet Confidence. Loud Results. Speaking of embracing expectation, even though Mardy Fish may have publicly said he doesn’t feel like the U.S. No. 1, he certainly proved that he was by repeating his title run in Atlanta. 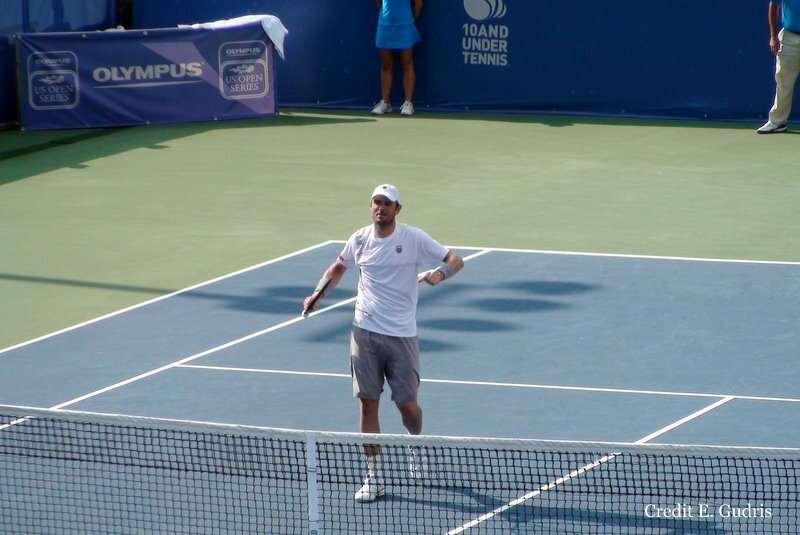 Even though his opponent John Isner may have had something of a home court advantage, Fish had almost as many supporters as the U. of GA grad, indicating that plenty of Americans are not just rooting for Mardy because he’s an American, but because they like him and his all-court style of game. Fish may not have the cocky charm or say the funny one-liners like his friend Andy Roddick, but Fish’s quiet confidence and consistent results over the last twelve months prove he is the top man in tennis for the U.S. and will probably continue to do so for quite some time. Being U.S. No.1 has it perks and burdens, one of them being Fish’s ambitious schedule this summer playing all of the lead-up events to New York. Fish is now a must-have star, especially for smaller events that can’t attract the biggest names in the sport, but I wonder if he’ll have enough left to make a serious run at the U.S. Open. I certainly hope he can. Hey Erik, nice roundup of the tournament! I wonder with Harrison is it just a simple maturity issue and will be something that he grows out of? He’s so talented, and I hope he doesn’t get bogged down by expectations, immaturity, what have you. And I’ve really come to enjoy watching Mardy the past couple of years. It’d be great to see him really make an even bigger push up the rankings. He’s gotten on some great runs before in big hard-court tournaments (as seen by his three runner-up finishes in Masters series events). Maybe he has a U.S. Open run in him? Thanks for responding Van. Harrison’s definitely mature for his age, it’s more his desire to win on court boils over into over-reacting when he doesn’t play well. Still think he needs a big closing shot, probably his forehand, that he can end points with on a consistent basis.